A pizza shop boss pleaded with fire crews NOT to cut a five-year-old boy from a dough rolling machine - because it would cost him money, a court heard. Sajid Mahmood, the former owner of Pizza De Roma, on Gospel Lane, Olton, told emergency services the equipment cost £1,500. And he urged them to dismantle the machine instead of freeing the injured and crying child with cutting tools. Crews were worried the youngster, the son of a worker, could have lost three fingers on his right hand which were trapped between the rollers of the machine. But the court was told customers were still being served meals when firefighters arrived to rescue him on March 17 last year. Stephen Hodgetts, watch commander from Solihull fire station, said in a statement to Birmingham Magistrates' Court: "The pizza shop was still open, staff were not helpful. I asked a shop worker if there was a child trapped in machinery and they confirmed there was. "In the kitchen staff were preparing food, there was no sense of urgency,"
Mr Hodgetts described finding the child with the fingers of his right hand caught in the rollers of the machine, which had no guards to keep users safe. But when the decision to cut the machine apart was taken, he said Mr Mahmood became aggressive. "The child was crying and in pain. He [Mahmood] was more concerned about the machine. He was complaining about us cutting the machine. I expressed concern about his lack of compassion and he apologised but then continued to complain about the machine." When the boy, a son of a worker at the restaurant, was freed, his fingers were compressed and blue. The court heard he went on to make a full recovery. Mahmood, who has now sold the venue, later admitted four breaches of health and safety law. 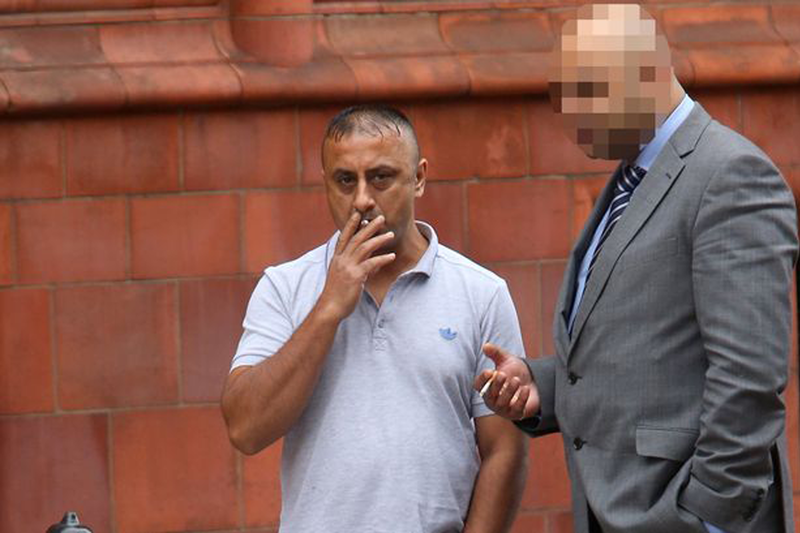 The 42-year-old, of Mansel Road, Small Heath, was fined £6,000 and ordered to pay £7,000 costs. Mohammed Hussain, defending, said Mahmood had been trying to help the rescue operation by asking crews to dismantle rather than cut the machine. He said: "He was agitated this incident was taking place and felt helpless. He was trying to help the situation, not hinder it." Mahmood was fined £6,000 with £7,000 costs.